Whether performing, painting or composing major commissioned works for the Pro Musica Chamber Orchestra the Brooklyn Philharmonic; for the Arditti and Flux String Quartets, World Sax Quartet, San Francisco Contemporary Players, arranging for pop diva Bjork, rocker Lou Reed and rap group A Tribe Called Quest, collaborating with poets Ntozake Shange or Huang Xiang: choreographers Ron Brown and Marlies Yearby, Native American vocalist Mary Redhouse, Korean kumongo player Jin Hi Kim, Chinese bamboo flute player Shuni Tsou; doing performances with, actress/author Anna Devere Smith and writer/law professor Patricia Williams; sharing the stage with hip-hop artist Mos Def and pop star Me'shell Ndegeocello; Oliver Lake views it all as parts of the same whole. Lake attributes much of his diverse array of musical styles and disciplines to his experience with the Black Artists Group (BAG), the legendary multi-disciplined and innovative St. Louis collective he co-founded with poets and musicians over 35 years ago. 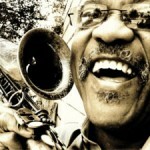 Additionally, as a co-founder of the internationally acclaimed World Saxophone Quartet in 1977, Oliver continues to work with the WSQ, his various groups, and collaborations with many notable choreographers, poets and a veritable Who's Who of the progressive jazz scene of the late 20th century, performing all over the U.S. as well as in Europe, Japan, Africa and Australia. Always a strong proponent of artist self-empowerment and independence, in 1988 Lake founded Passin' Thru, Inc., a 501(c)(3) non-profit, dedicated to fostering, promoting and advancing the knowledge, understanding and appreciation of jazz, new music and other disciplines related to music. A recipient of the prestigious Guggenheim Fellowship, Lake is one of the most heavily commissioned composers to emerge from the jazz tradition. 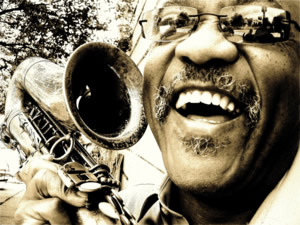 Oliver received the 2006 Mellon Jazz Legacy Award at the Kennedy Center, and the Jazz Impact award from the Central Brooklyn Jazz Consortium in April of 2006.